For more book review, check out my Recommended Reading page. My interview with him can be found here. 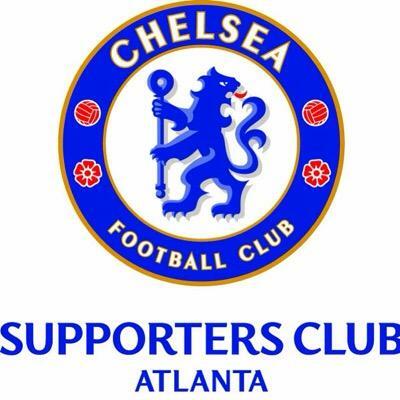 Paul Canoville played for Chelsea Football Club in the 80s and he is in the States visiting Chelsea Supporters Groups and Atlanta is one of his stops along with Boston, Dallas and Houston. We talked about his career and the work he is doing with the Paul Canoville Foundation. 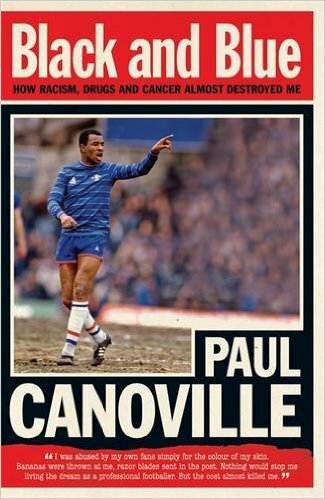 Follow on Paul on twitter @Kingcanners and find him on Facebook. Read his book Black and Blue. 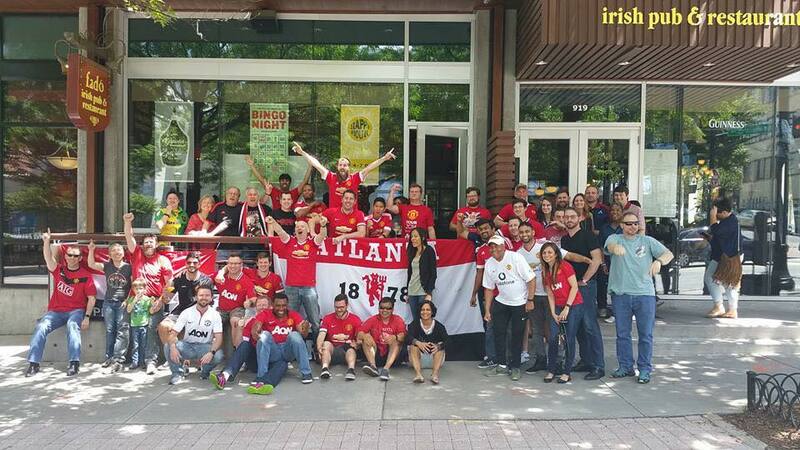 Brenda and Brandon from the Atlanta Blues joined me on the SoccerNomad podcast to talk about their group and Chelsea Football Club. 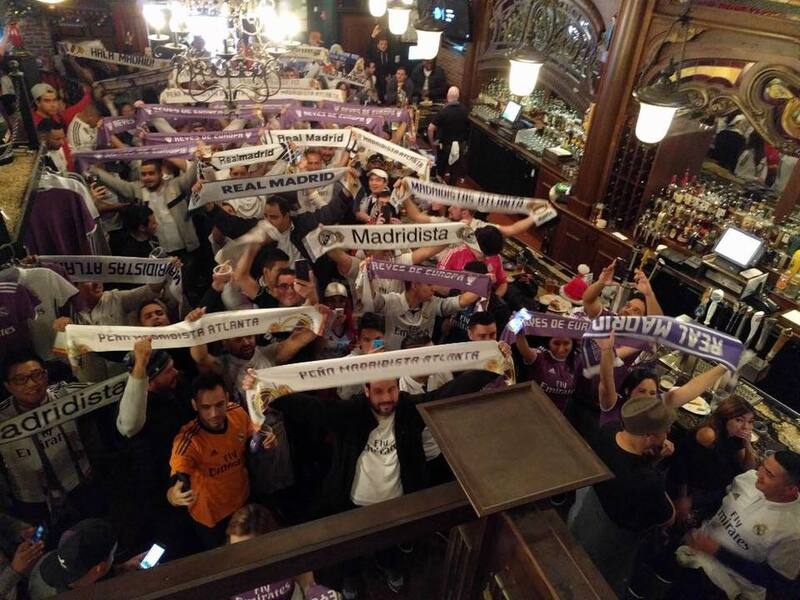 We discussed the formation of the group, the visit by Paul Canovile last year, and memories of the club over the years. 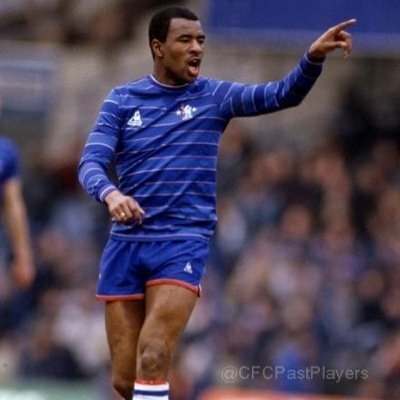 In looking at Chelsea’s away kits through the years, one thing stood out to me—the use of red shirts during 70’s and 80’s as red is not a color I would associate with the Blues at all. Definitely going to tuck that little tidbit away for future research. 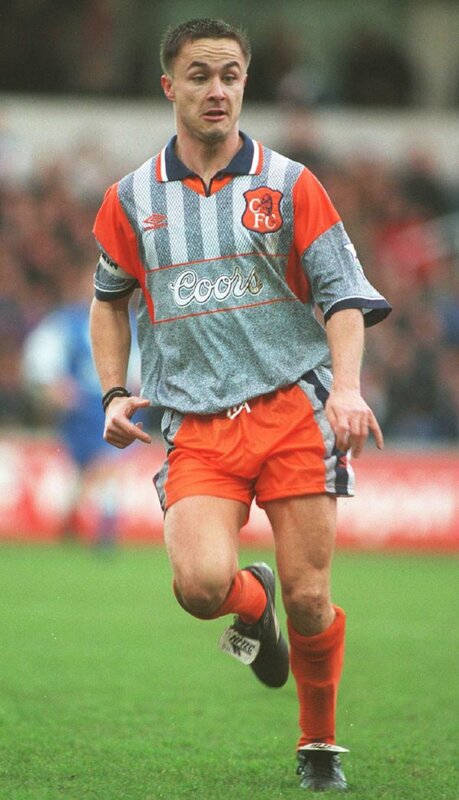 As for the Premier League shirts, honorable mention for the worst strip goes to . . . I affectionately mock this one as the Halloween kit. I have no idea what adidas and the club were going for. The black away strips have been hit and miss over the years and this one is the worst of that group. Double whammy that season as this third shirt may have been a call back to the away kit from the late 80’s but hard to believe men had to wear this shade of green. I really don’t even know where to start. Grey and orange and blue? Crazy colored crest? Coors? This is just awful beyond words and deserves some sort of retroactive punishment. 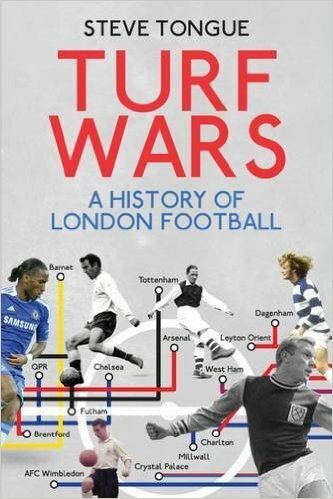 Things didn’t any better for the club the following season. The Historical Kits mock up does not do this one justice. Even though I didn’t know much about soccer at the time, I knew this was ugly and cannot believe how many people had to say yes to get this produced. Really don’t like the yellow but the color has been used by the club through the years, so what you are you going to do? 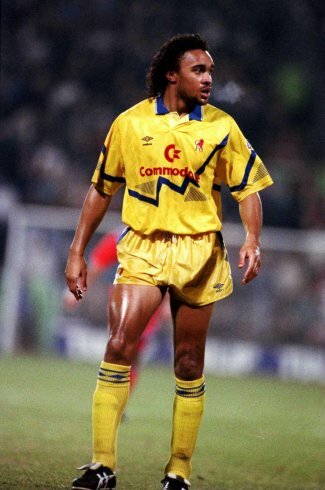 Turns out this was a template jersey and Everton wore the exact some hot mess. This jersey screams 90’s!! After going through their Premier League change kits I have to admit they aren’t that bad. 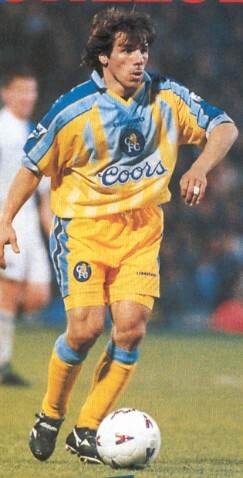 Early 90’s kit design was bad and unfortunately Chelsea’s were really bad, and I just think the bad ones are so bad they wipe everything else. The club has some real horror shows from the 70’s and 80’s and a future post may have to deal with those. Chelsea fans, how do you defend your club? Those with anti-Blues bias, what did I miss? Let me know in the comments below. 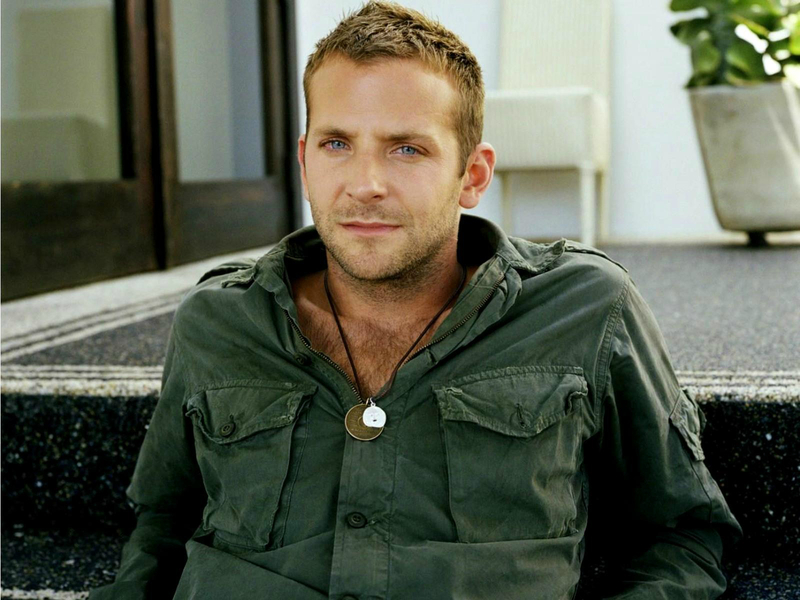 During one of our Mid-Michigan United watch parties, after yet another Joe Hart/Rachel Maddow joke, I had the idea to do a post about players who like actors/characters. I started jotting down some ideas and kept my notebook with me watching games in case something came to mind. As usual, I was a day late and a dollar short to an idea. Putting the post together, I came across the tumblr page Footballers Who Look Like Actors, which had already gotten quite a head start. Disheartened I pushed on, because I had a couple in my notes that they did not have, so here is my starting eleven plus a manager, a referee and a mayor. From the moment I saw David de Gea at Atleti, I was convinced he was the starting keeper for the Whoville National Team. Look at him. Crazy hair and sideburns, little button nose, scrawny as Calista Flockhart on a bad day. As a United fan I want him to bulk up and be more of a controlling presence in the penalty area. As a bitter, snarky prick, I want him to remain ridiculously frail so that everyone can make fun of him. 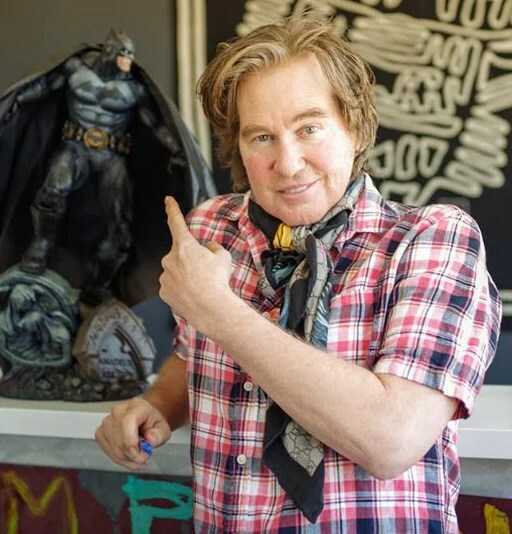 Val Kilmer is preparing himself for his role as Sergio Ramos in the upcoming biopic about the Spanish defender. Not a single part of the last sentence is true, especially because Val would have to lose too much weight to even make that happen. When I see the current Sergio Ramos (beard, highlights, shorthair), I think Ice Man and Thunderheart. 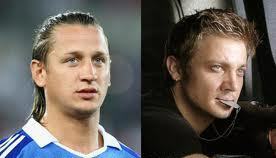 Philippe Mexes has an uncanny resemblance to actor Jeremy Renner. Credit to Footballers Who Like Actors for the pic, who did the hard work for me on that one. Mexes occasionally has a moment of glory but sometimes (read: most of the time) can be utterly useless. Likewise Renner has been in decent movies (The Town and Hurt Locker) but also has made some bad choices (The Avengers and Ghost Protocol). Cedrick suggested that Thomas Vermaelen IS Jude Law. Have to agree that some of the pics on the interwebs are striking in their similarities. Tough to say whether the Belgian player is actually a decent defender or impersonating one in hopes of running off with Arsenal’s great fortunes. Wait, what? 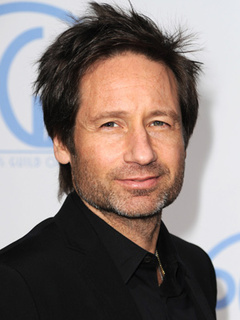 Fabio Coentrao is probably not chasing around supernatural forces or writing another best seller but he does have a resemblance to David Duchovny’s characters over the years, especially Hank Moody from Californication. 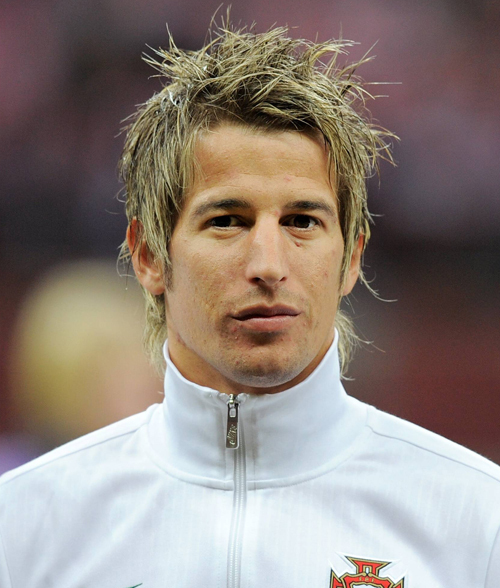 The actor has a little squarer jaw but Coentrao could probably do in a pinch. Another United player has a twin in the acting world. Skimming the Footballers Who Look Like Actors website, a recent post showed side by side pics of Ashley Young and Jaime Hector. Think what you want about Young (diver, poor crosser of the ball, waste of space) but Hector’s performance as Marlo Stanfield in the Wire was amazing. What you say. You haven’t seen the Wire. Stop reading this post and start watching the series right now. For the purposes of this post and as an acknowledgment of the Spanish Waiter’s tactical creativity with Chelsea at the 2012 Club World Cup, I have moved David Luiz into central midfield, and his doppelganger is easy: Sideshow Bob. Next. Out on the left side of the pitch I have put Mesut Ozil. 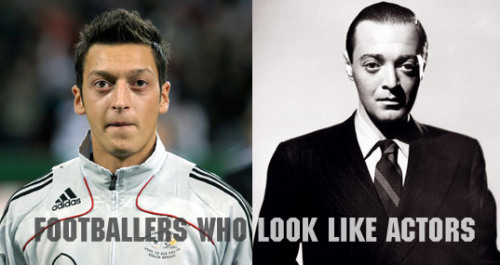 Again the Footballers Who Look Like Actors website provided the comparison, in this case—Peter Lorre. His name sounded familiar but had no idea who he was. After a little research, found out he was in Casablanca, the Maltese Falcon, the Mr. Moto movies and Arsenic and Old Lace. Who knew? Pulling the strings for this eleven has to be everyone’s favorite Uruguayan—Luis Suarez. Hopefully in some hypothetical match he doesn’t offend the opposition, try to dive for a penalty or save a goal bound shot with his hand. His twin, Anne Hathaway, has been a running gag on the Men in Blazers podcast for a while now, even generating an entry on the MIB wiki. Hopefully scoring the goals for the team would be Roberto Soldado and Edison Cavani. I started referring to the Spanish striker as Bradley Cooper in my early posts on La Liga, while Cavani’s particular facial features reminded me of days gone by and Masters of the Universe villain Skeletor. Mean-spirit-ness ahoy. 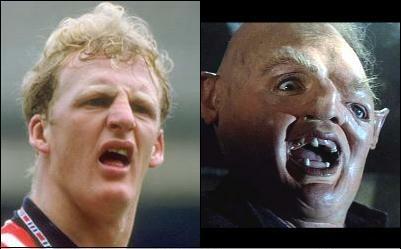 Managing this team has to be Iain Dowie. Due to his long record of success? No. Due to his inspiring man management skills? No. Because he is Sloth, again a touchstone to another movie of my youth—The Goonies. Not nice to say but most think it and don’t say it out loud. Credit to ROLFrazzi for pic. Finally, taking charge of the match must be Spanish referee Cesar Nunez Fernandez who, along with University of Kentucky Lead Car Salesman Head Basketball Coach John Calipari, is keeping the world’s hair gel economy afloat. Obviously he’s been hitting the beach or tanning bed more than the UK coach, and I’m sure he could make sure that any game goes off without a hitch. Even with Suarez on the field. 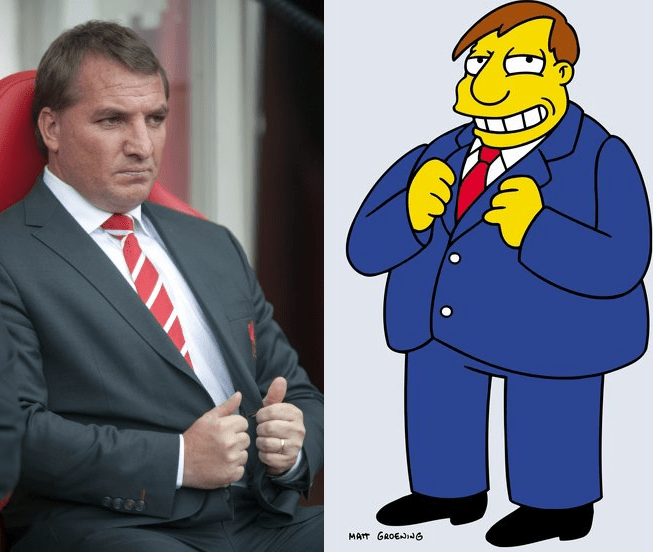 Overseeing all of the festivities would be Mayor Quimby from the Simpsons, giving the match a sense of decorum. And if he couldn’t make it, I’m sure his understudy, Brendan Rodgers, could step in. 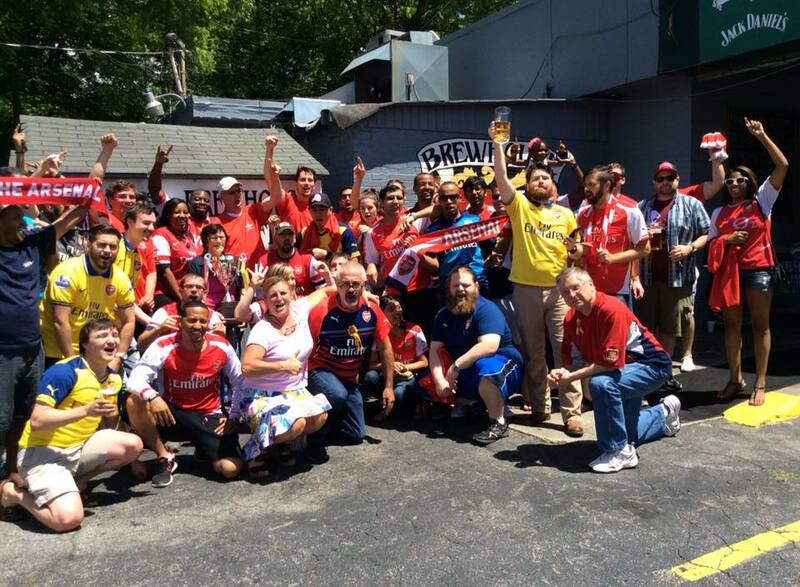 Have to give a shout to Mid-Michigan United Supporters John and Ravi who tipped me off to this one. The goal now becomes creating another squad for this team to play against. The notebook will be at the ready and if I can’t create it on my own, then I’ll “borrow” from Footballers Who Look Like Actors. Enjoy and thanks to everyone for their suggestions and notes.